I have tried this recipe in many different ways. Every time I've got an excellent result and it is difficult to say which one was the best. I've tried to bake it in a conventional oven, I've tried to replace the seeds with sesame or chia but all the times I chose the sandwich shape just for practical reasons. 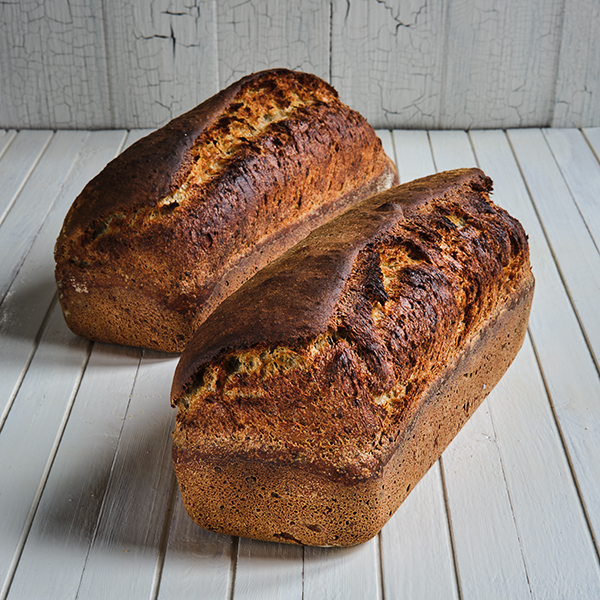 With the wood fired oven you do not have to much control over the temperature once the loaves are inside. I tend to get the breads a bit overcooked when using the natural fire, as it was the case for this one. When changing the seeds I do not find a big striking difference between the versions related to taste. So, feel free to use your preferred kind of seeds. Manitoba four is well known for its high protein content. This means more gluten, so a higher chance to have a beautifully risen bread. When using this type of flour in your bread no extra addition of gluten is necessary. When baked, the crumb I find it whiter than classical wheat flour. Here it is a simple recipe where the Manitoba flour is used exclusively. If you decide to stay on an evening late, you can follow the timing that I used. Or, you can simply put the dough overnight in a cooler place. Putting herbs into my bread is not a new experience for me. 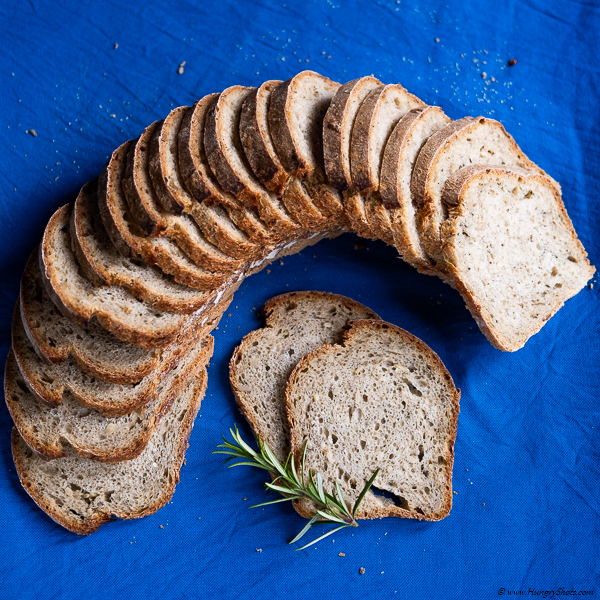 I have tried different types of aromatic herbs to see how they fit with the taste of bread. In all cases, these breads bring something specific. They are not just simple breads, they are specialized breads with a specific aroma. The aroma is super strong. Each time I try to do a herbal bread it makes me remember that it does not fit with all kind of food. For example, spreading just some butter on a a slice works great, and sprinkling some salt over it makes it perfect. However, if on top of the butter you add some jam, things starts to taste weirdly. You might like it but for me, this is not a perfect match. More, Herbes de Provence contains strongly aromatic herbs. 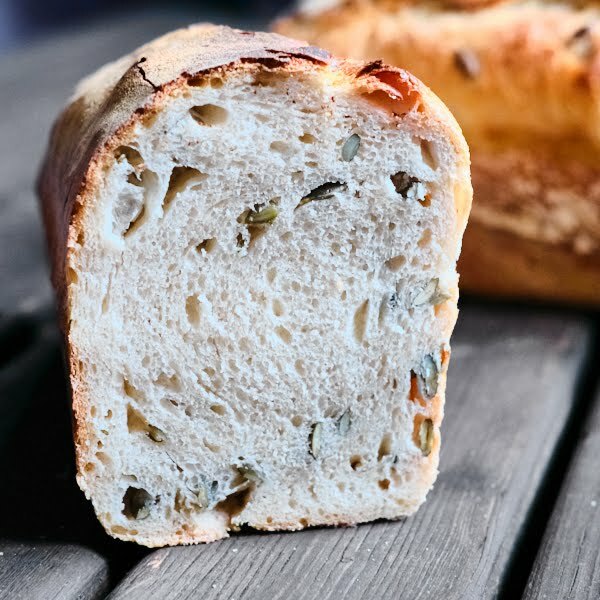 Savory foods are simply complemented by this bread. 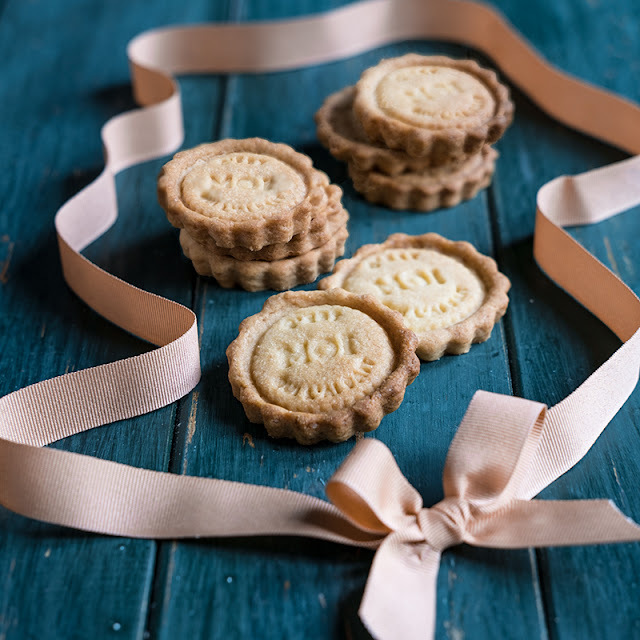 In particular, for this recipe, I made a visit to an organic shop and I have filled my pantry with some organic flours. Special flours, special aroma... the direction was clear for me to pick this incredible combination of herbs. As again I targeted the sandwich shape of the bread, using bread pans was the chosen option. This bread is really special, you love it or you hate it. On top of the taste, this bread in particular brings me back amazing memories from Provence, so you can imagine that I appreciated a lot this bread. One day I received a roll-on deodorant from my good friend who is doing all her cosmetics home-made. Using it was not any different from an usual one bought from a supermarket. Maybe the scent was more intense although that was not a bad thing. Efficiency was however great. In the meantime I have tried my own recipes, but not on roll-on. I have tried a solid one based on sodium bicarbonate that work fine for 12 hours with only the drawback that was staining the clothes. It was washable but it wasn't very appealing during the day to wear it. Of course I have remembered my good old friend and put my hand on the phone. She provided me this recipe, I've tried it and used it for some weeks already and I can only say that this is the ONE. The one that I a going to do and use from now on. I'll never again be back on bought deodorants from supermarkets and that is a decision I made long time ago. Of course there are alternatives that I also appreciated over time, like buying the ones proposed in bio shops or alum stones but they are expensive. I remember my first impression when I have seen the recipe: where on Earth I am going to find these ingredients? They are not very common and you can find them here in Belgium mainly in specialized shops for DIY cosmetics. Internationally, I found some interesting online shops that can help. Let's take them one by one and see what these weird ingredients are for. The xanthan gum is a thickener. That gives a jelly texture to the deodorant. The alum powder fights against multiplication of bacteria so also the unpleasant smell. It is 100% natural and can be used also by people with allergic reactions or sensitive skin. The sage essential oil has multiple roles. It serves as a preservative, it protects against microbes and it provides a lovely aroma. The mint essential oil comes with antiseptic and antimicrobial properties. The cosgard is only used for preservation. This ingredient allows your deodorant to be kept for 3 months without other unwanted bacteria to be developed. Now that we understand why these ingredients are crucial for our recipe, just have a look on the directions bellow and ... That's it! 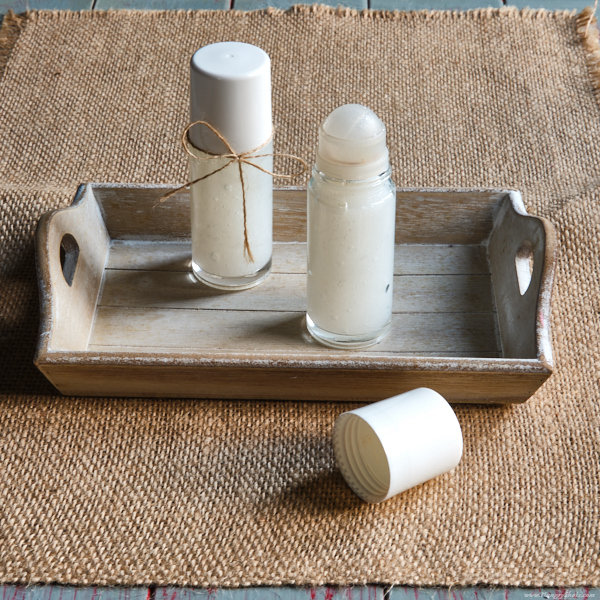 You have your own home-made deodorant!